Neoprene. Alarm bells. So over. Question mark. Nay, you hear me say. You see, the intelligent inhabitants - no, not patronising, just truthful - of planet earth seek to find multiple uses for those things in life that float the boat of practicailty. Take potatoes, for example. First, we had potatoes. Next came potato peelers and boiling water and just like that, BAM, we had boiled potatoes. Then some clever pre-Christianity Heston Blumenthal-type tycoon took a knife to this incomparably versatile vegetable, decided frying was the way forward and BAM, blessed us with my personal staple diet... CHIPS! 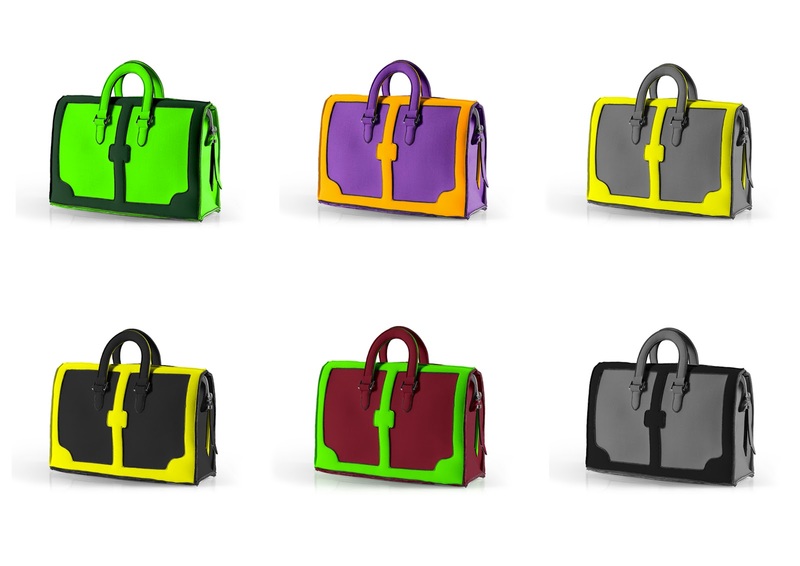 So I give you this - probably Leghila's most talked-about bag to date. Remind you of something? Well, there's a reason they have the F-bag and this is the B-bag: b-b-b-Birkin! Ohhhh yes yes yes, Birkin loving all over the shop. I mean, it does feel like a bit of a cheat's way to Birkin loving... And I shudder at the thought of what a 16-year-old me would have thought of all this. Looking back, if I were galavanting round the fountain-clad grounds of my convent high school comparing notes with my richer counterparts I might sniff an air of 'Oh, well that's not a real Birkin. Mummy bought me a real one. 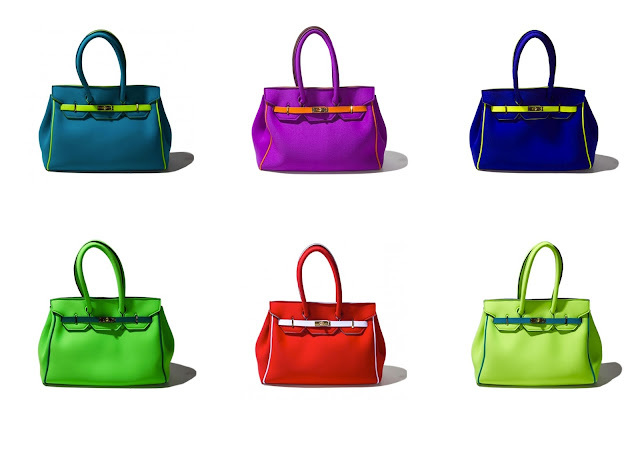 In every colour.' (It was all girls - bitchaayyy.) But I do love the tongue-in-cheek attitude it exudes. Bags, like life, must never be taken too seriously.